For those who appreciate the beauty of oak, the Amsterdam Dresser from Modloft offers a superb choice in any modern bedroom. This dresser features composite wood construction and six smooth-gliding, soft-closing drawers, providing plenty of storage space. 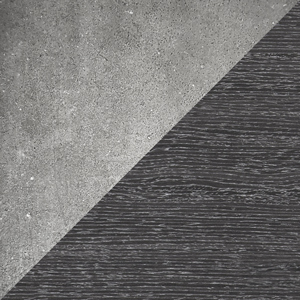 Plus, the dresser's gray concrete top over pine oil treated gray oak veneer consists of a proprietary blend of cement, fiberglass and plastics, guaranteeing the piece will maintain its quality for years. Check out a stunning dresser that will perform perfectly day after day with the Amsterdam Dresser. Composite wood construction offers long-lasting value. Includes a gray concrete top over pine oil treated gray oak veneer that consists of a one-of-a-kind blend of cement, fiberglass and plastics, ensuring exceptional quality. Features six smooth-gliding, soft-closing drawers, offering ample storage space. Boasts lightweight material that makes the dresser less prone to cracking, staining and other damage.